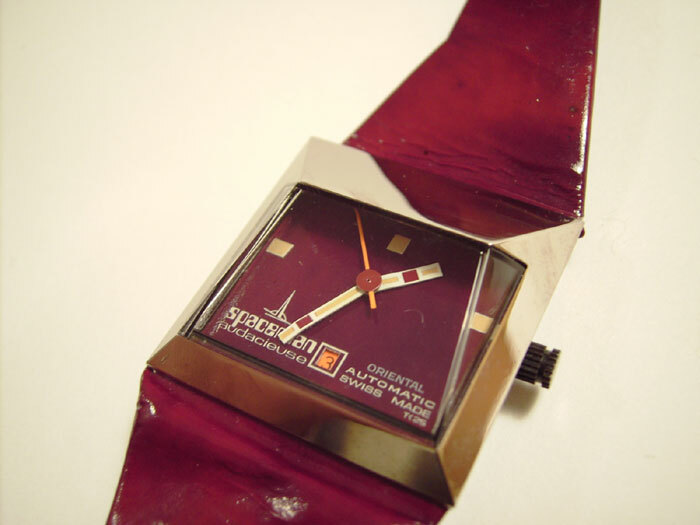 Spaceman Audacieuse “Oriental” Watch – designed by Andre Le Marquand – WITH CASE!!! Well, this is another Spaceman watch, designed by the amazing architect and designer of watches, Andre Le Marquand. 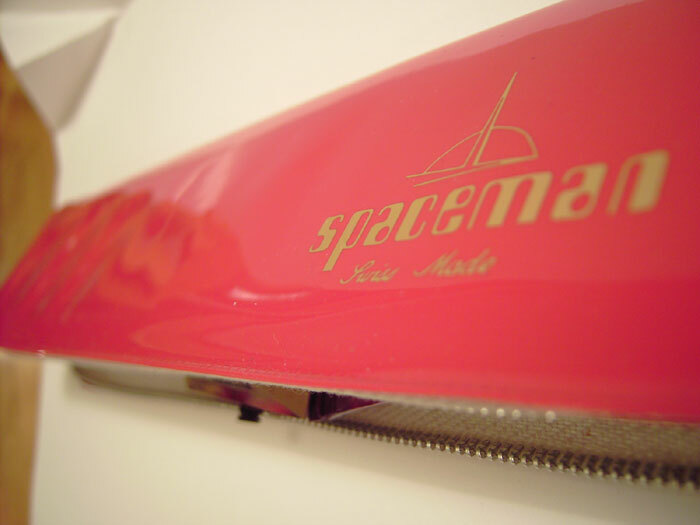 This one comes with the ORIGINAL SPACEMAN CASE!!! LOOK AT IT! Cool eh? The first Spaceman watch was the Oval one ( you can find it elsewhere on the site ) in 1972, but – in my opinion – this series here, called the “Audacieuse” range were utterly superior. 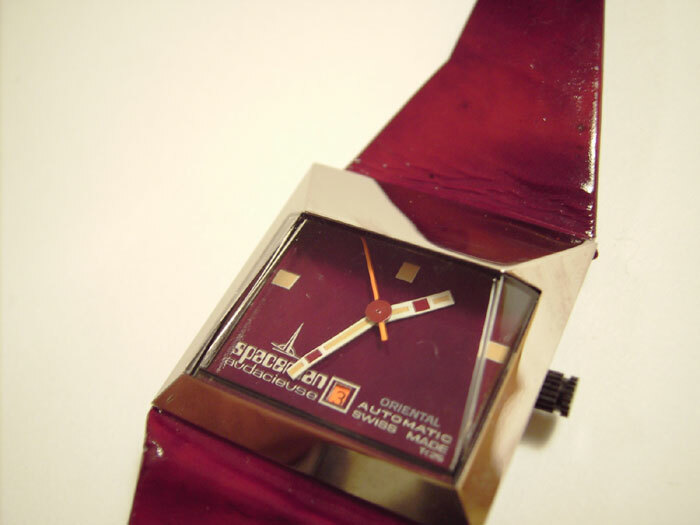 The Audacieuse series was a rectangular series of watches and was launched in 1974. This version below is called “Oriental”, I have never owned an Oriental model before, this watch is ultra-rare. 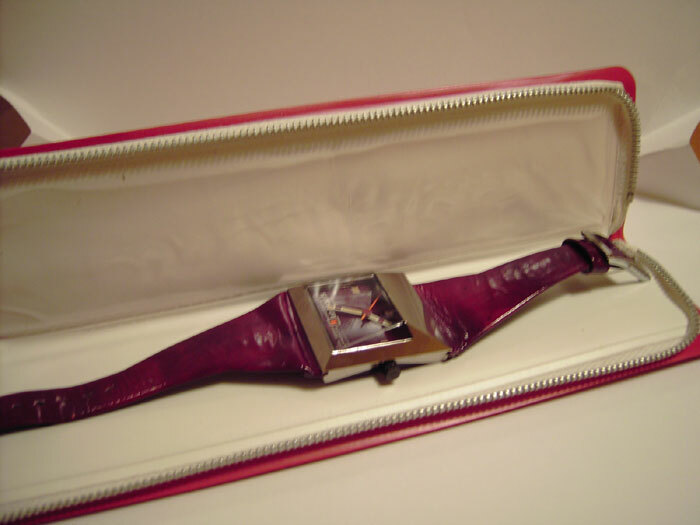 The watch has the time and date, the fantastic red leather lacquered strap in the fantastic wine-red colour. This particular watch is extremely rare, and watch lovers (or should I say Spaceman lovers!) 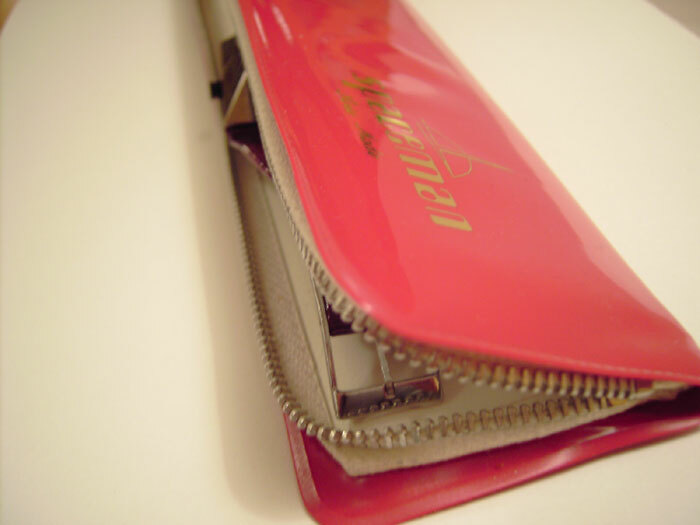 know its worth – i.e. more than mere cash! ENJOY this marvellous example of a Spaceman! By the way, if you need more photos of this watch, just look at the other Oriental Spaceman at the site – it’s identical to this one, but this one has the brilliant case! 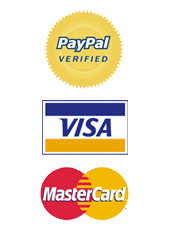 (Have patience – this is a heavy page cause of all the photos and may take a while to load up – I think it was worth adding them).